First published as James Beard, A Biography (HarperCollins, 1993), this award-winning book was chosen as a "Notable Book of the Year" by the New York Times Book Review and called one of the best food books of the year by Julia Child on "Good Morning America." 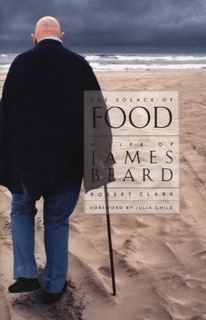 The Solace of Food is both the definitive biography of Beard and a fascinating history of food. Clark writes candidly about the "feuds and bitchery, betrayal and revenge" inside the food world and about Beard’s homosexuality in a closeted period. "Clark has given us a vivid portrait of a sometimes bizarre but ultimately fascinating man of our times," said the Times, "but his real achievement is having produced a valuable and thoroughly engrossing work of contemporary cultural history."